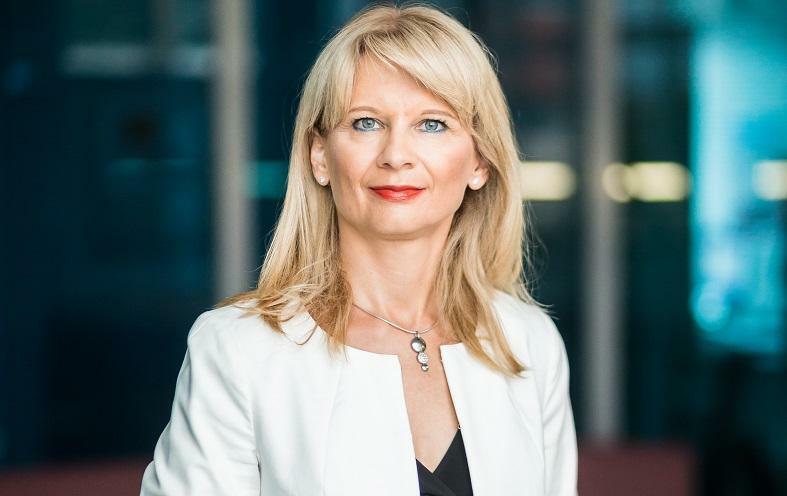 Maja, you have been with the Slovenian Tourist Board for over 20 years now, with another 5 years dedicated to private sector tourism product management previously. Do you remember what first got you interested in tourism? And what made you change your focus to the marketing of Slovenia as destination? With Slovenia becoming independent in 1991, it quickly turned into a new global tourist destination. The country already had a centuries-long history of tourism (quite strong since the first half of the 19th century). But it had been marketed under the names of various political entities of which it was a part. When the Slovenian Government established the strategic importance of tourism for the country at the beginning of the nineties, a new tourism vision and strategy was prepared. The next logical – and huge – step was the establishment of the Slovenian Tourist Board in 1996. The repositioning of the tourist market and the development of the image of Slovenia as a tourist destination was a demanding task. I wanted to be part of this challenge. For me, it was a once in a lifetime opportunity, which I embraced with enthusiasm, but above all with a sense of responsibility. I wanted to be a part of the Slovenian Tourist Board from the very beginning and was lucky to be invited to join the founding team. At that time, we were a small, but fully committed and passionate team, with hardly any budget to start with. But we took bold steps and established a very dynamic and agile Tourist Board. Before joining the Slovenian Tourist Board, I was working at the tourism destination of Rogaška Slatina – a thermal health resort known for its unique mineral drinking water, four-hundred-year-old tradition and the latest medical findings. Starting my tourism career there made sense for me, since I was born and raised in Rogaška. As Director of the Slovenian Tourist Board, would you say interest in the sustainability performance of destinations is stronger on the demand side (travelers, buyers) or supply side (communities, policy makers)? Which market trends do you observe? 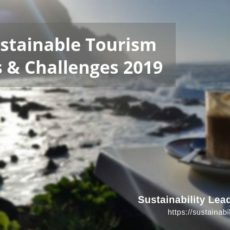 When Slovenia started to work on sustainable tourism development some 10 years ago, I would say that neither the supply nor the demand side was strong in terms of sustainability performance, let alone awareness of the topic. I remember that, at that time, many reports on climate change were published, which caught my attention. 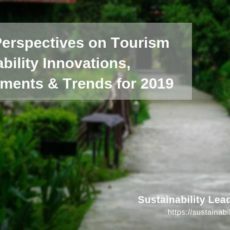 Since then, awareness of our responsibility to develop tourism in a sustainable manner has become a priority for countries, destinations and policy makers. The ‘overtourism’ phenomenon has definitely and decisively accelerated this. There have also been gradual, but constant, changes in awareness on the demand side. The values of today’s consumers have changed dramatically, and responsible practices are now considered a must – especially in the eyes of modern, discerning consumers and travelers in search of healthy, sustainable lifestyles and experiences. Sustainability as such is not enough. It’s a term that is sometimes quite abstract, for example for a hotel guest. It has to be transformed into a story and benefits that are relevant and appealing to the traveler. I believe this is a challenge for many tourism destinations, including Slovenia. Which are the main topics linked to tourism sustainability at the moment in Slovenia? Slovenia has been recording two-digit growth rates for four years in a row now – rates that are well above global and European averages (in 2017 we recorded an 18 per cent increase in international arrivals). Despite this, tourism in our country has developed fairly sustainably. Some major Slovenian destinations are now facing capacity limits during high seasons. But I can say that they are dealing with it efficiently, well aware of the traps of too much growth, and taking measures before the issues become unmanageable. In Slovenia, we have been tackling sustainability issues systematically and strategically for the last 10 years, together with destinations and tourism providers. Especially since the last 5 years, we have provided concrete solutions and measures through our Green Scheme of Slovenian Tourism. For Slovenia, as one of the greenest countries in the world, nature is our main competitive advantage as destination. Therefore, we actively protect the natural environment. Not just to add value to our products, and to be able to offer authentic experiences, but also to live up to the promise of our destination brand, whose essence is our love for nature. To achieve this, we needed a system that would unify our efforts for sustainable development. Through the Green Scheme we have now established very solid grounds for sustainability management practices, both for the destination and tourism providers and businesses. In our current tourism strategy (Strategy of Sustainable Growth of Sustainable Tourism 2017-2021) we defined the vision of Slovenia as a green boutique destination for 5-star experiences. Together with our goal to increase revenue from inbound tourism by EUR 1.5 bn in the next 4 years (nearly 40 percent), this is the focus of our activities. Slovenia has a relatively good seasonal dispersion, with just above half of all overnight stays occurring during the four summer months (compared to 85% in Croatia, and 40% in Austria). But additional growth will have to happen in spring, autumn and winter. Our focus is on 365 days of Slovenian tourism. Our ideal location in the meeting point of the Alps, the Mediterranean sea, the Karst and the Pannonian Plain makes it possible to develop tourism in all four seasons. Slovenia also has a relatively good geographical dispersion. 30% of overnight stays are made in the Alpine region, and in Thermal Pannonian Slovenia. 25% of stays occur in the Mediterranean & Karst region and 15% in Central Slovenia, including our capital, Ljubljana. 4 macro regions (Alpine Slovenia, Mediterranean & Karst Slovenia, Thermal Pannonian Slovenia, and Ljubljana with Central Slovenia). 34 leading destinations (which together account for 98% of overnight stays in Slovenia), with clearly defined destinations partners (DMOs). We actively work with those on visitor flows management, visitor experience and product development. A consortium of more than 60 SLOVENIA GREEN destinations and tourism providers, with whom we work on issues of sustainability. The main focus here is to develop green products that target discerning travelers who are looking for diverse and active experiences, tranquility and personal benefits. Slovenia has done impressive work recently in using destination marketing and promotion tools to encourage and support sustainable tourism development in the country. Yet so many destinations fail at this due to outdated success metrics and lacking support from the top, e.g. industry and government. What is your secret to success? The game changer for us has definitely been the development of the Green Scheme of Slovenian Tourism (GSST). Before that we talked to our stakeholders about the need for sustainable tourism practices, did quite a lot of training, seminars, research and developed individual toolkits. But the idea of sustainability was not showing in practice, and was not bringing results. Then we decided to develop the GSST as a national program for assessment and improving the sustainability of our destinations and tourism providers. It’s not only a certification program giving destinations and providers a complete tool for the assessment of their sustainability, but also a label (we have a Slovenia Green label for accommodation, parks and travel agencies so far). The Green Scheme of Slovenia Tourism is process-oriented: it is not only about proving how sustainable you are presently, but to get you the tools and coaching to help you develop and improve. We knew that it was not going to be enough to develop the system in isolation, but that we had to make it globally comparable. At the level of destinations, it is based on the Global Sustainable Tourism Criteria for Destinations (GSTC) and the European Tourism Indicator System (ETIS). At a business level, we built the scheme on the basis of existing green certificates (such as the EU Eco Label, Travelife, Bio Hotels, etc.) because we trust their approach to sustainability and they are in accordance with what we want to achieve. For our parks we follow UNESCO and EUROPARC. The SLOVENIA GREEN score is globally comparable, but still has a distinct Slovenian character – since it promotes the story of green Slovenia and encourages destinations to define their specific and unique local green character. Our key success factor was that the Slovenian Tourist Board took the initiative, found a partner and led the way. We have incorporated the scheme into our organisation, give SLOVENIA GREEN destinations and providers extra marketing exposure, and work with them on a daily basis. Furthermore, the SLOVENIA GREEN Consortium was founded a few years ago by our accredited partner GoodPlace – with the Slovenian Tourist Board as the strategic partner. Just last week we had our Green Day, with more than 100 destinations and tourism providers participating, and where we awarded new members the SLOVENIA GREEN certificate. This event has become a valuable get together for exchanging best green practices and getting inspiration through new green stories. But above all it’s a place for networking and promoting green endeavours. We would like to develop a global green scheme, to further build on our position of being one the leading sustainability-focused destinations around the world. Which have been the results so far? Slovenia is the first country in the world which complies with the Green Destinations Standard. In 2016 Ljubljana was the European Green Capital. In the same year, Slovenia hosted the first Global Green Day. At ITB last year, Slovenia was awarded the prestigious National Geographic World Legacy Award for our destination leadership. At this year’s ITB, we were chosen to be part of the 10 most sustainable destinations in the world, and Best of Europe. 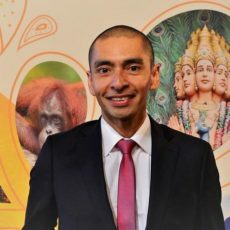 I believe that the key to success so far has been our ability to show our destinations and providers the value of a comprehensive system in which marketing and development of sustainable practices are strongly interconnected. This combination is leading to the desired image and development of Slovenia, which is in line with our vision of green, boutique Slovenia for 5-star experiences. Jana Apih in her interview referred to sustainability “think” as something which is in the DNA of many Slovenians. Do you agree? What does it mean for Slovenia as nation to be perceived as “green”? This is all reflected in I feel Slovenia. We are green, we develop Slovenia in a green manner and we proudly promote it as green. Destination marketing at national level is sometimes referred to as the pretty face of a country’s public diplomacy. At the same time, it is closely linked to economic development. How does the Slovenian Tourist Board collaborate with institutions such as the ministries of foreign affairs or economic development? Do you meet, discuss, collaborate on strategies aimed at tourism sustainability? The Slovenian Tourist Board is a public agency, part of the Ministry of Economic Development and Technology’s Tourism Division. This means that we work closely with them, with weekly coordination. One of our missions is also to position tourism as one of the fastest growing sectors in our economy, with a strong influence on the other sectors, the well-being of the residents – if managed properly – and an important contributor to the positive image of the country. In 2017, the Ministry of Economic Development and Technology led the process of preparing a new strategy of sustainable development of Slovenian tourism for the period until 2021. All tourism stakeholders were integrated into this process. Not only public administrations, private businesses and NGOs, but also a dozen of ministries – from finance and agriculture to the foreign ministry. Tourism is, as we know, a very interdependent and cross-sectoral industry, which requires coordinated work between ministries, administrative bodies, stakeholders and individuals. It’s a huge challenge and it’s a process. Not something that can be achieved short-term. Tourism is of course also a part of the political system and is therefore influenced by elections. In the case of Slovenia, I believe that there is a strong consensus among all parties for green and sustainable tourism, so I do not expect any change in direction due to our recent parliamentary elections. What speaks in our favor is that sustainable development is the way forward, not only for the tourism industry, but for the country of Slovenia as a whole. Successful destination marketing used to be mostly about innovative, engaging campaigns and selling a destination’s offerings to potential visitors. Yet, in times of “overtourism” it is more and more about brand stewardship and active networking internally, close links to the local “host” communities. In your view, are DMOs prepared for this paradigm shift – ready to take on a role of facilitator and brand/destination manager, rather than “just” promoter? The focus is definitely shifting from marketing to management, which is what we are doing through the new organization of Slovenian tourism. I believe that the need for this is widely acknowledged among Slovenian tourism actors, which I consider a success. As destination marketers and managers, we need to ensure that the visitors enjoy a high quality experience, and at the same time support the regions and destinations to respond to and benefit from increasing visitor numbers. And secondly, we need to attract the right mix of visitors, who appreciate the experiences we offer. Our Green Scheme is a solid platform for this, and a good basis for working with host communities. Through the Scheme, DMOs have to talk to the local communities, talk to local people, research their opinions in public questionnaires, and collaborate with different stakeholders. Tourism has to cooperate with agriculture, sports, culture, infrastructure development, and so on, to ensure that the tourism development benefits the environment and the local community. Only a few years ago, sustainability performance used to be “just” an advantage. It has now become a must. Above all it needs to be deeply rooted in the country’s DNA, in people, reflected in all you do. I believe that sustainable development is one of the pre-conditions for a competitive destination and for tourism providers. It also means more resilience when challenges appear. Sustainability is also about being innovative and being able to embrace new realities in the tourism business. For instance, we have been listed among the best European destinations several times, and have been profiled as a destination to watch out for. The growth resulting from increased popularity, however, comes at a price, as we can see in so many European destinations, and especially cities. We have, therefore, adopted a very clear vision of a boutique green country, with premium quality. This is something I personally believe to be of the utmost importance. To have a clear vision, and to get all stakeholders behind it. And I can say that we succeeded in this. Airbnb and other sharing economy businesses are putting cities and local communities to the test, often drastically limiting available rental space for locals, among other problems. How can DMOs help solve or alleviate this situation? Airbnb, which has in less than a decade become the largest provider of accommodation in the world – without owning one single bed – has changed how we travel. It has redefined how we look at the space around us and how we view strangers. This whole process and growth has, of course, not come without complications and challenges – be it legislation, effects on the housing policies in urban centres, safety, or disrupting the peace of local residents. The role of DMOs in the process is by all means important. But one cannot try to tackle this issue only as a matter of legislation or housing policy. It has to come as a part of sustainable destination management. As already mentioned, the Green Scheme of Slovenian Tourism gives Slovenian DMOs responsibilities and tools to develop tourism in a responsible and balanced manner, considering all stakeholders – the tourists, local communities and residents, and tourism providers. Sustainable destination management is about establishing relationships that are strong and long-term, based upon trust. This is something which was not part of a DMO’s job description before. What role does destination branding and marketing play as facilitator (or inhibitor…) of a more sustainable tourism? This is something that comes beautifully together in Slovenia. Our sustainability commitment comes from our DNA and is communicated through I feel Slovenia, which tells the story of green Slovenia. Our 3-stage green philosophy is: (1) Slovenia is green, (2) Slovenia develops green (GSST) and (3) Slovenia loves green and proudly promotes it. To better understand our green story, let me explain the essence of I feel Slovenia, a country brand which was created 10 years ago. The core of the brand is love for green. The brand communications speak of unspoilt nature and our focus to keep it that way. The vision behind the brand positioning is green boutiqueness, which is reflected in our new tourism strategy of building and promoting a green boutique destination for 5-star experiences. Destination marketers tend to avoid engaging with “sustainability” beyond using it for promotion aimed at specific niche markets, since it not something usually part of their KPIs. Reflecting on your own experience, which advice can you share with destination markets in terms of how to deal with sustainability? Sustainability has to be the way you work and not to be used only for a specific niche market. It has to be something that you believe in, and it has to be a part of your story. Connect with Maja Pak on LinkedIn or start exploring Slovenia’s many destinations and attractions here. Enjoyed our interview with Maja Pak on how Destination Slovenia approaches sustainability? Spread the word!